According to the most recent published figures (June 2018), there are 1.76 million cattle (beef and dairy), 6.59 million sheep and 317,000 pigs on farms in Scotland, as well as an estimated 14.5 million poultry birds. There are also 34,400 horses, 1,300 donkeys, 1,900 camelids and 9,700 farmed deer on Scottish farms. Some of these numbers are falling – cattle, sheep and pigs are declining in number, while the poultry flock is increasing with egg-laying birds starting to outnumber birds reared for meat. Either way, that’s a lot of sentient, individual animals whose welfare must be protected – by farmers, by government and by consumers and the general public. As long as people continue to eat animal-derived products, public policy should support them in making higher welfare choices and demanding that farmers offer their animals the best possible conditions. That’s why OneKind is calling for full recognition of animal welfare as part of food quality in the Scottish Government’s proposed Good Food Nation Bill. The public cares about farm animal welfare, and despite Scotland’s generally good reputation for welfare, there are still many areas of concern. These include the continued dependence on antibiotics, the export of un-weaned dairy calves, intensively farmed salmon, animals suffering during transport to slaughter, and the continued confinement of laying hens in cages. The proposed legislation will require Scottish Ministers and selected public bodies, such as councils and health boards but not private businesses, to set out a statement on food policy. These statements would cover food production and consumption issues such as the growing, harvesting, processing, marketing, sale, preparation and consumption of food, and disposal of waste; and access to affordable, local, nutritious and culturally appropriate food, and food in the public sector. These are laudable aims, but there is no mention of those millions of farm animals born, reared and slaughtered for food in Scotland or that a Good Food Nation should make their welfare a top priority. Neither animal welfare nor the health and environmental advantages of eating fewer or no animal products has been identified for inclusion in the legislation. OneKind believes this is a missed opportunity. The Good Food Nation Bill and the related policy statements should aim to provide the highest standards of animal welfare for animals reared for food in Scotland: this must mean not only minimising negative experiences, but also providing animals with opportunities to have positive experiences – what the Farm Animal Welfare Council calls “a life worth living” and “a good life”. Good Food policy should also encourage a reduction in the consumption of animal products and the sourcing of such products from higher welfare systems. A diet with fewer, higher quality animal products (or none at all) is not only more animal-friendly, but also healthier and more sustainable. The consultation on the framework legislation is open until Friday 29 March and OneKind is responding, both independently and as part of the Scottish Food Coalition (SFC) a cross-sectoral network of organisations keen to see fundamental change to Scotland’s food system. Because of the technical nature of the legislation, we are not asking our supporters to submit formal responses (although you can do so here if you wish). Instead, we suggest you contact your MSPs to give them your own views on the need to treat food animals fairly in a Good Food Nation. The ministerial statement will also be subject to a consultation process in due course, and to regular reporting and reviews which will provide a further opportunity for OneKind and others to keep animal welfare on the agenda – provided we can get it there in the first place. 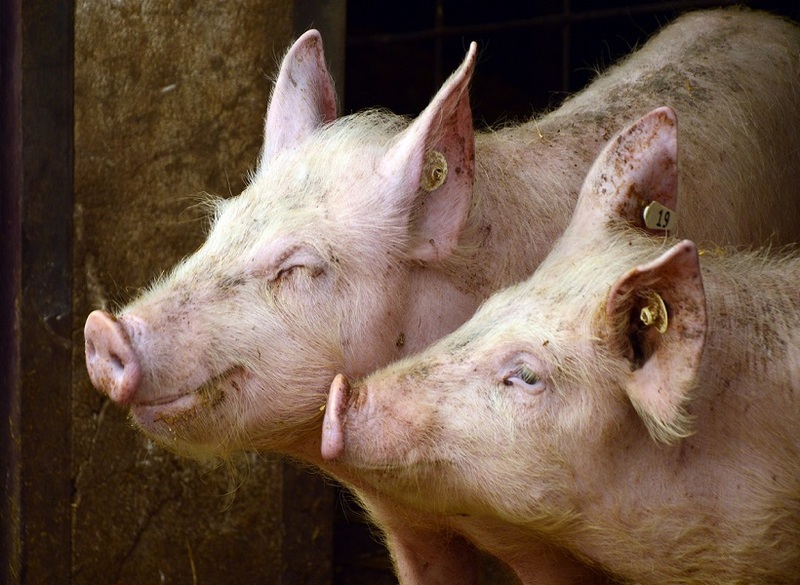 OneKind is delighted to be working with animal welfare scientist Helen Lambert to produce a comprehensive report on farm animal welfare, covering the evidence for the sentience of these animals and the protections currently available by way of legislation and farm assurance schemes. The report will appear in April and will be a long-lasting contribution towards making Scotland a Good Food Nation that is good for animals, as well as people. Given the fact of animal sentience, any proposals should include the banning of both live exports and the brutal, barbaric ritual slaughter of gentle animals. Unfortunately, the PMCC (Political, Media and Celebrity Class) in Scotland passionately supports these atrocities, and it appears that OneKind is also unconcerned since it fails to address these issues seriously – indeed, not at all, in the case of ritual slaughter (one wonders why). It should always be pointed out that it is impossible to ban live exports while the UK remains a member of the EU, or a member of the Single Market if it leaves, because to attempt to do so will break the rules with regard to the free movement of “goods” contained within the Treaty on the Functioning of the European Union: for EU Fundamentalists and Single Marketeers, gentle, sentient animals retain the “status” of existing only as “goods”.